An airline captain's toilet break lasted longer than expected after the cockpit door jammed, leading to an emergency landing. 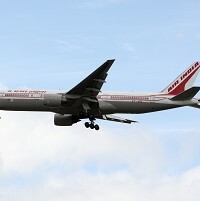 Air India confirmed the pilot was locked out of his cockpit during a flight from New Delhi to Bangalore. Despite the best efforts of its staff, the door could not be opened. The co-pilot was forced to make an emergency landing at the nearest airport, where the problem was resolved by ground maintenance workers. The airline said the passengers were never in danger and they eventually got to their destination. However, the incident shows freak events and delays can hit travellers at any time. Unexpected problems are much easier to cope with when holidaymakers have travel insurance in place.